When it comes to Pay Per Click (PPC) Advertising, the biggest names right now are Google Ads and Bing Ads. While the aim of both Paid Search Advertising platforms is the same - hint, it involves you making enough money to keep giving them money - they do have unique features that are worth familiarizing yourself with. Here, we’ll show you the difference between Google Ads and Bing Ads, which should help you to weigh up your options that little bit better. Alternatively, you might look to use them together to harness the strengths of each. 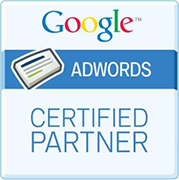 Google Ads runs on the largest and most popular Search Engine in the world. It has two Advertising networks within Google itself: the search network where your ads appear alongside the Search Engine Results; and the display network, where your Ads are displayed across affiliate Websites that are part of the Google network. On the other hand, Microsoft Bing Ads are displayed across three of the lesser (yet still major) Search Engines: Bing, Yahoo, and AOL. Before choosing your preferred PPC platform, make sure you take the time to understand your preferred audience, so you can use the platform which is going to enable you to target the appropriate demographics. Based on Statista, an online Statistics Portal, 40% of Bing users are between 35-54 years old, and nearly half of them are married. Meanwhile, the average Google user is a fair bit younger. It might sound overly technical, but do take a second to consider this data before you launch your PPC Campaign. For instance, if your products are almost exclusively aimed at teens and millennials, you probably need to be leaning towards Google Ads. If you don’t mind targeting a slightly older age bracket, then Bing might be advantageous to you. A display URL is the web address seen underneath your ad; they’re delivered in green text on both Google and Bing. It gives those who search Online an idea of which Website they will be taken to once they’ve clicked your Ad. There does seem to be a small advantage when using Bing as the URL is emboldened underneath the Ad, which can draw the viewer’s eye to the Advertisements. Obviously, this is true for all paid Ads showing after any given search, but it should help you marginally increase the number of people clicking on your Ad. If you’re a Small Business with a limited marketing budget, what good can a PPC campaign do you if you can’t even afford it in the first place? Presently, this is the key strength of Bing Ads… it allows you to compete at a much lower cost. Bing Ads has a smaller market share, meaning that there is reduced competition (and therefore a cheaper cost per click) in the majority of industries. Don’t be confused, paying less doesn’t equal low quality traffic. With some help from PPC experts, it’s possible to generate the right traffic, more sales and a better ROI without splurging all of your dollars. For those on very tight budgets, Bing is often king. When it comes to Online visibility, it’s obviously a no-brainer. Google has a simply monstrous number of users. It’s also arguably faster and easier to manage because so many people are so familiar with it. While Bing is no match for Google when it comes to volume, its network is growing by the day and you simply cannot ignore the many missed opportunities when you refuse to look outside of the obvious Marketing options.